As I’ve been part of teams organizing various events and conferences over time I know how difficult it can be to put all the pieces together but also how much value can be added to the audiences through the speakers’ presentations. One of my biggest mistakes from the beginning of my online marketing journey was that I wanted to learn everything by myself and neglected how valuable can be the help from mentors who already did it. Fortunately, I’ve corrected this in the process. My career is a mix of my passions: #onlinemarketing, #realestate, #publicspeaking #training and #music and I’m doing everything I can to make things better today than yesterday and tomorrow than today. In the process I also do a lot of mistakes, some of them sooo ridiculous but I’ve introduced in my life the habit of learning from the ones which are more advanced than me in what I want to accomplish. I have an internal guidance/ gps – if I add value or not and I cease doing a lot of things which doesn’t bring value to my audience, my family, the society itself and my life. Of course not everything goes as planned but I’m pushing my limits. I write every day at least one message to my audience which is sent through e-mail, Facebook, social media and meetups and they have specific purposes: either to share a finding which can motivate and improve a day, a professional life, a life of its own or to share amazing content, tools and resources (some of them even blow my mind) which can be used in your marketing efforts. I say marketing because today marketing is done in a very different way than it was made few years back. No matter if we are talking about online, social, e-mail, mobile marketing you simply need to upgrade your marketing knowledge even if your job title is not “marketer”. If you are a manager, entrepreneur or professional, aka my target audience you need to market your business, yourself, your skills and the best gems are not the once learned in the business schools. Fortunately I can relate to most of the problems and blockages you encounter because most of everything I’ve learned I did it the hard way (by doing) and this keeps me relevant in workshops, trainings and speaking engagements. These being said (written) we need to follow proven models and innovate on top of them. I don’t agree with just copying successful formulas because this way you will not add any value and will just be a copycat. But … you can get amazing inspiration from the successful model and add your magic on top. Also, when I recommend products I recommend only products and solutions I buy myself and use in any of the projects I am involved. So I have all the time the skin in the game. 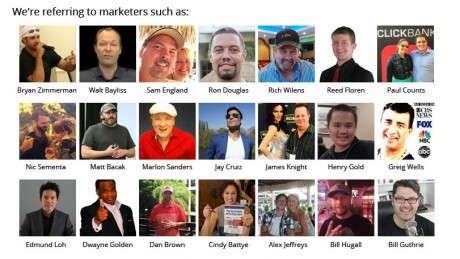 So what happens when you grill 21 top internet marketers on how they’ve built a successful internet business? Yesterday it was lauched an interview package containing the stories and advice from 21 of world’s top marketers. These people know how to make large audience open e-mails, click links and make purchases, tons of purchases and some of them get hired by large corporations for consultancy at what most of us consider outrageous rates. The reason is that they know strategies, blueprints which can be adapted to any businesses and transform them. It’s all inside the ‘Mayhem Exposed’ course. You can get instant access to all their video recordings here. Also in this course, each marketer had shared in detail the exact technique on what they would do if they were to start all over again. Whether you’re a beginner internet marketer or advanced, you’ll get some golden nuggets out of this course which you can take away and start using to take your profits higher. Get instant access to all 21 video recordings from experts! Success leaves clues, and this is it. When you start taking in what’s in this course, you’ll be light years away from the rest who are struggling to make it. Previous Previous post: Last week’s 1 to 1 supercharge social media consultation was claimed in less than 1 hour. Do you want to know how to use social media to become a trusted authority in your industry?